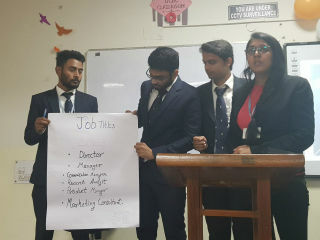 PGDM International Business department of JIMS conducted a workshop on "Me and my specialization" for the students of first year. The workshop was conducted by Ms Anjali Shukla(Head-Nivesh Global). This was her second session with PGDM-IB Students. She explained about the fields of management in the corporate and how one should choose their specialization. 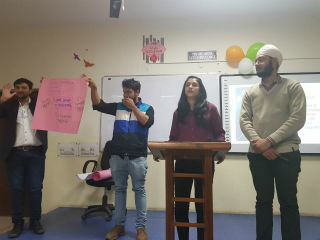 The session was activity oriented and students were interactive and participative with the enthusiasm of learning attitude.The session helped the students to choose the specialization according to the interest .